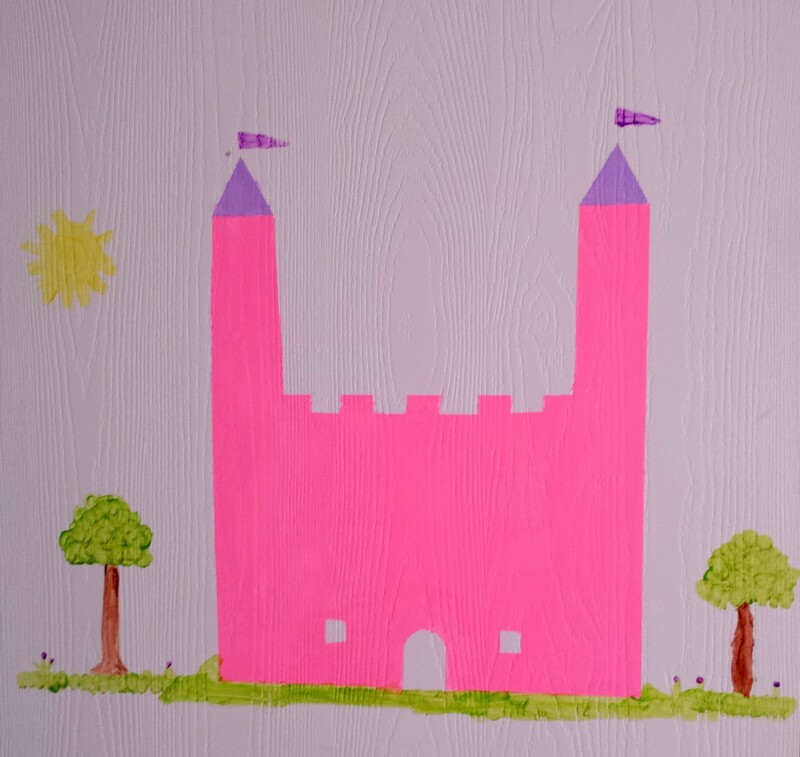 Want to create a sharp castle decoration for that fairy princess in your life? It’s really easy if you have the right supplies. Textured Surface by FrogTape with it’s patented Paint Block® technology, a super absorbent polymer that reacts with water in latex paint and instantly gels to form a micro barrier that seals the edges of the tape and prevents paint from bleeding and creates sharp clean lines on any textured surface. Step 1. 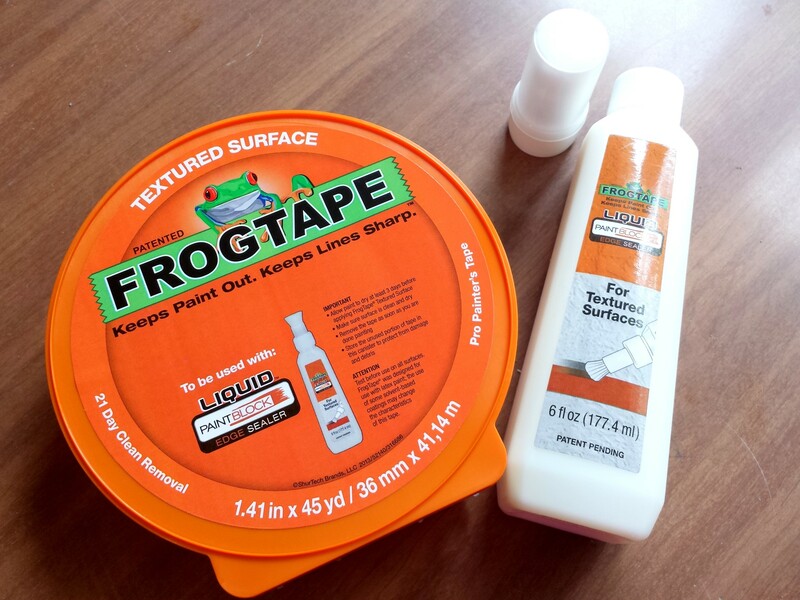 Outline your shape in your FrogTape® Textured Surface™ and add your liquid paint block around the edges to make sure the paint is sealed well. 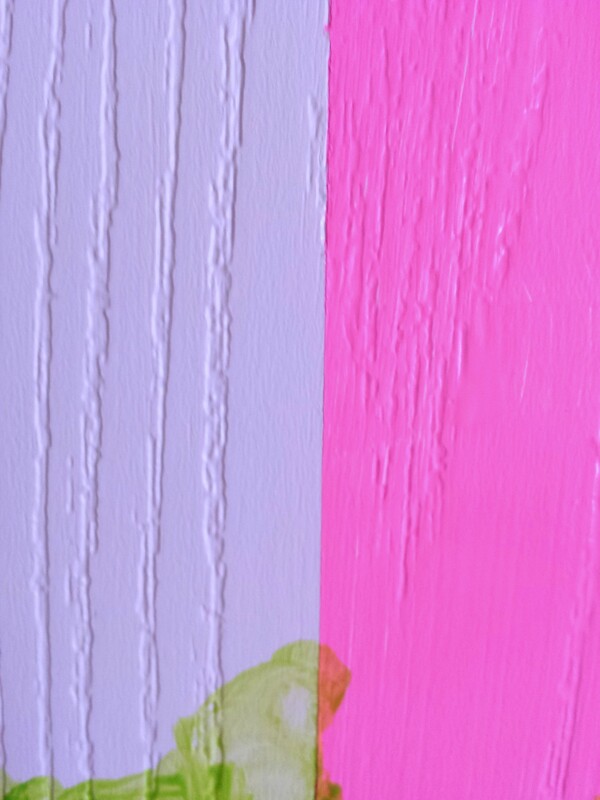 FrogTape® Textured Surface is the best painter’s tape to use for textured surface because of it’s patened PaintBlock Technology that ensures your lines come out crisp and straight EVERY time.The PaintBlock Technology creates a barrier that keeps paint from bleeding. It can be painted over but you should let it dry for a moment before starting the painting process. Step 2. Paint in layers with the bottom most layer first. Such as our castle. Next will come the addons like the tower roofs. 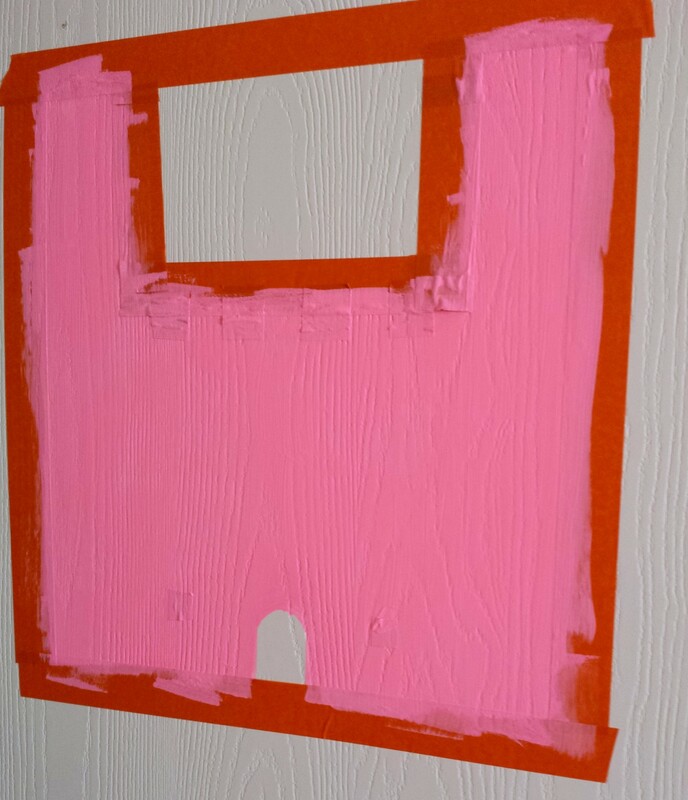 Tip: Peel off tape while the paint is still wet. The lines come out sharp and clean! Step 3. Paint any add ons to the picture such as the trees or flags. Trees are really easy, I went for a childlike drawing and used the paintbrushes to create swirls in kinda a muffin top shape. CB helped alot with this part of the painting as she wanted to get involved. She did a great job! 1. Press down edges of tape or take your fingernail or a credit card and rub it to make sure it seals well. 2. Wipe down with a damp wash cloth. 3. Make sure your surface is clean of dust or dirt. 4. Avoid stretching the tape as you apply it to keep it from rolling. 5. 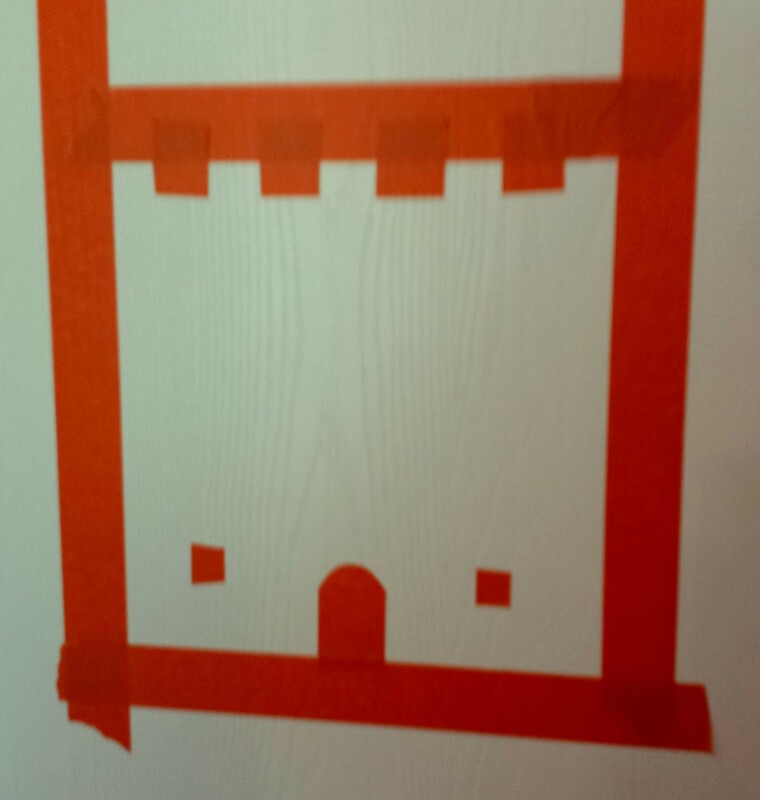 Make sure you have the right tape for your surface. Such as Textured Surface by FrogTape. would be perfect for? Share with us in the comments below! This look awesome! We’ve painted on a few textured walls before and it’s a big pain!! Nice to know there’s something out there to make it easier!